Now that I have finally gotten over the shock I am excited to share with you all that china from The Lavender Pantry was indeed used by none other than Jonny Depp, Sacha Baron Cohen and Mia Wasikowska. I may never wash my cups again! 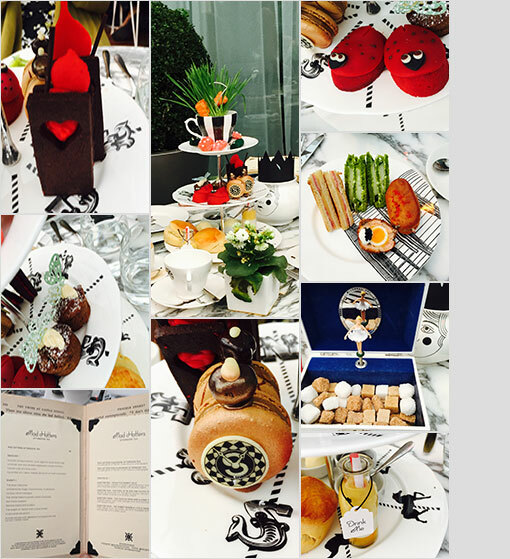 In a London hotel in May 2016 Disney’s Through the Looking Glass was introduced in a tea party style press conference. And who supplied the china? Me, a girl from Crawley with dreams of making it big in business and stand out in a world full of tea and scrumptious cake. Directed by James Bobin and produced by Suzanne Todd and Tim Burton, these well known people all came together to join The Mad Hatter aka Jonny, Chronosphere – a clock like villain played by Sacha and beautiful Mia who played Alice to talk about the fantasy adventure film loosely based on Through the Looking Glass by Lewis Carroll. Having received a call for china hire urgently needed for the same day, I was jolly pleased to be in the position to help. As I packed up the baskets and secured them with a pretty bow, little did I know my china was heading to achieve great things as it graced the stage with its vintage presence and hob nobbed with some very talented and well known people. 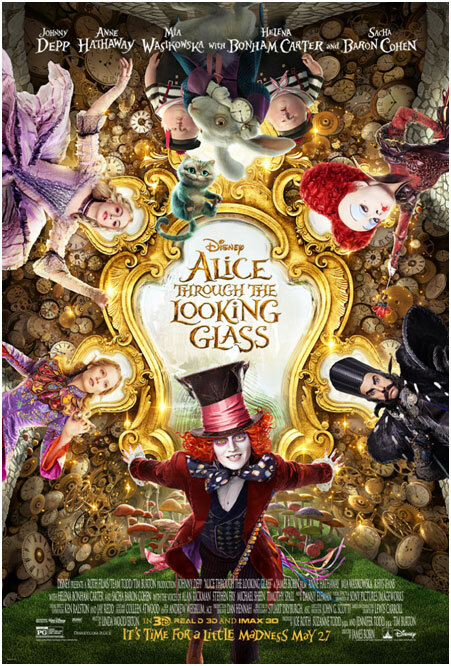 The film tells the story about Alice coming across a magical looking glass that takes her back to Wonderland and finds that the Mad Hatter is acting madder than usual and wants to discover the truth about his family. Alice then travels through time with the Chronosphere and comes across friends and enemies at different points of their lives and embarks on a race to save the Hatter before time runs out. If you want to check out the legends who starred in the film or my china in all its glory have a quick peek here. From the moment you are seated you are met with happy little surprises, the theme is an inside outside theme … beautiful fountains and trees with a lovely marquee covering. If you feel the chill like me they will give you a gorgeous blanket to keep you snug. We were welcomed with a smile and a dusty old book with a hidden menu to delight you with what was to come. We started with the teas, this selection comes to you in individual little glass bottles – very Alice in Wonderland – and if needed you could find out a little more information about each from the playing cards provided. I went for the Alice and my Mum had the Mad Hatter both were delicious and the sugar is served in a musical box complete with a spinning ballerina. The sandwiches were amazing – the best I’ve ever had in an afternoon tea. There was a crab éclair, a cucumber & cream cheese sandwich in lime bread, a caviar scotch egg, and, my personal favourite, a crispy little Croque Monsieur. This is not your standard cake stand, it is full of colour and little items that you can easily connect to Alice in Wonderland. The Mad Hatter’s really have gone to town on the theme; from little pocket-watch macaroons, to playing card bourbons, to chocolate caterpillars, to the classic ‘drink me’ mini smoothies. There’s even a little surprise in the grass but I’ll keep that a secret so you have a little surprise too. It felt very magical. Just when you think that is it; I can eat no more they bring out this gorgeous looking terracotta pot, like everything at The Sanderson; all is not as it seems this isn’t to take home and pop in your garden … nope this is a little pot full of passion fruit ice-cream with edible soil and flowers. You certainly won’t leave feeling hungry! An imaginative and unconventional alternative to the normal and rather expected Afternoon Tea. The history of afternoon tea came about in the early 19th Century and is believed this is because of Anna, the 7th Duchess of Bedford. She is said to have complained of ‘having that sinking feeling’ during the late afternoon. At the time it was usual for people to take only two meals a day, breakfast and dinner around 8pm. 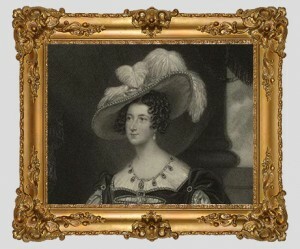 The solution for the Duchess was a pot of tea and a light snack, taken privately in her boudoir in the afternoon. Over time she started inviting friends to join her for ‘tea and a walk in the fields’ and this practice became very popular and social hostesses began to follow suit and before long all of fashionable society were sipping tea and nibbling on sandwiches around 4pm.